Fiberglass bar, which width is 12-300mm, FRP thickness is 4-60mm, cross section is rectangle, has a slight blunt edge. FRP rod can be finished FRP. It is a kind of FRP profiles with the process of pultrusion. 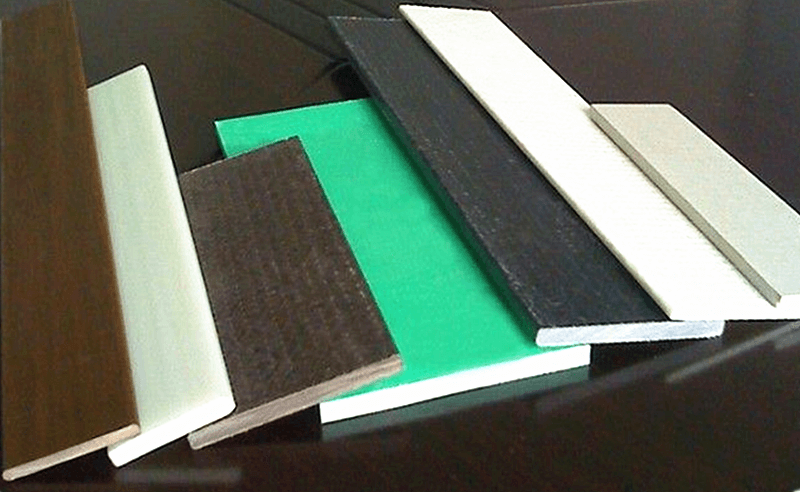 Pultruded FRP uses these types of reinforcement materials: woven glass roving fabric, continuous strand mat, stitch mat and surfacing mat. Fiberglass rod is a kind of FRP products which uses unsaturated polyester resin, vinyl resin, phenolic resin as matrix material, heating in high temperature and forming. Fiberglass rods with pultrusion process has these fibreglass material properties. Its toughness is pretty strong, water absorption is low, and it has superior corrosion resistance and shock resistance. We can provide great FRP solutions and meet clients’ needs according to their all kinds of requirements about fiberglass mechanical properties, electrical conductivity of fiberglass, weight capacity, flame rating, etc. FRP solutions are in these two aspects. 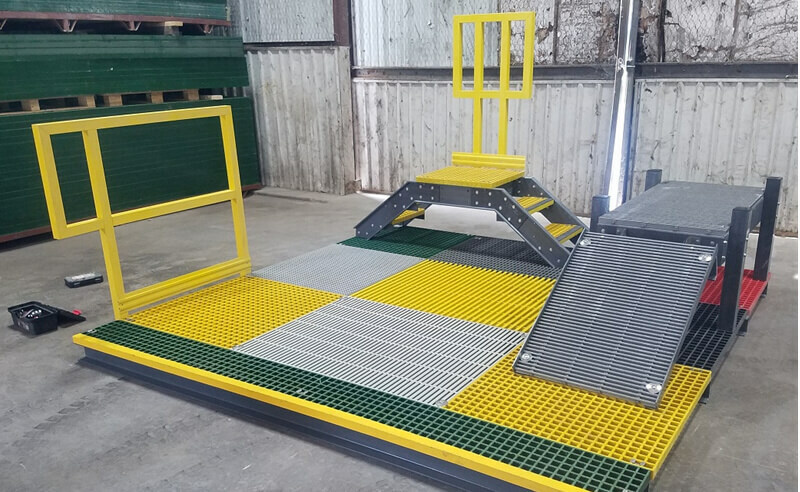 The design of FRP construction and combination of several kinds of fiberglass material, surely including the amount of the use of resin, reinforced glass fibre and other kinds of materials. 1. Light FRP weight and high fiberglass strength. Pultruded FRP has extremely high glass fiber content, which makes its unidirectional strength and specific stiffness rather prominent. 2. Good performance of bend resistance. FRP ladder has good performance of bend resistance, it allows repeated bending without permanent deformation. 3. Bright FRP colors. The color of FRP ladder is added in the production process of GRP profiles. There is no need to coat, and it’s just totally natural. 4. Easy to maintain. 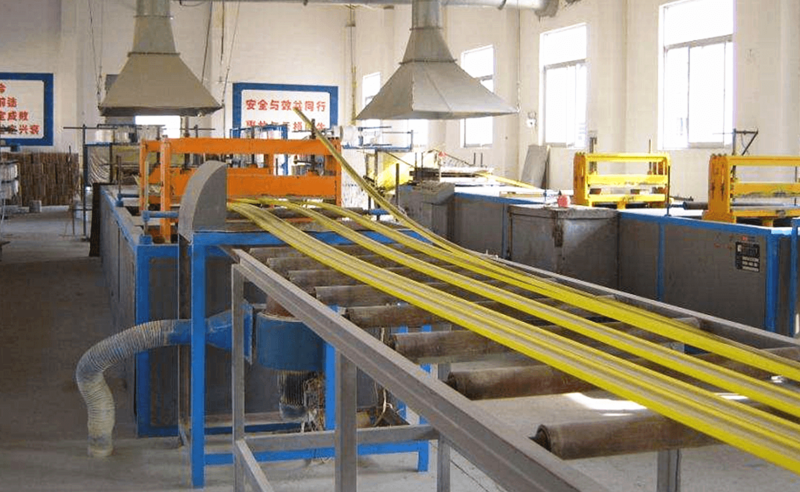 The production process of FRP ladder is mixing the pigments in the resin. FRP colors can be arbitrarily deployed according to the customer’s requirements, it’s not easy to fade, no paint maintenance, and has a self-cleaning effect. 5. Good economic benefits. FRP process is controlled by automation, the quality of FRP products is stable. There is no marginal waste material in the production process, the raw material utilization rate is high.